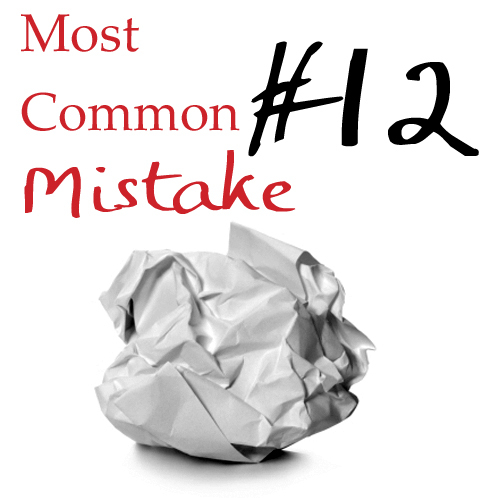 Most Common Writing Mistakes: Are Your Flashbacks Flashy or Flabby? To flashback or not to flashback? Sooner or later, that’s a question every writer is confronted with. A good flashback is sometimes just the ticket for bringing to life an important event in your character’s past. But, constructed poorly or plopped in the wrong place, a flashback can end up irking a reader more than impressing him. Let’s search for the signs that your flashback is a glimmering thing of beauty—as well as the symptoms that your flashback is falling flat. Your flashback occurs at the right time. is comprised of three giant flashbacks from the respective POVs of the three protagonists. In this book, the flashbacks are so necessary that without them there would quite literally have been no story. by David Brin remembers being dragged to a lecture by a friend. In an attempt to begin their stories in medias res, inexperienced authors will sometimes open their stories with a flashback that either, at one end of the spectrum, dumps backstory or, at the other end, sums up the story’s most interesting information. If your flashback begins just before your story and is effectively the first domino in your row of falling dominos, you’d probably be wiser to make it your first official scene, just as Marion Zimmer Bradley did in Stormqueen! Your flashback is too long. did a good job giving the reader just the right amount of history to keep the story buzzing along. does a wonderful job flashing back to her character’s “normal life” without including any extraneous or tedious information. Flashbacks are not only fun, they can also bring a new depth to your story’s palette. If you make sure you’re using them correctly, your readers will grow to love these delightful little peeks into your characters’ pasts. Tell me your opinion: Are there any flashbacks in your work-in-progress? As a matter of coincidence, I just finished Tender Is the Night yesterday! I actually like the “flashforward” or “backshadowing” technique of beginning with a scene late in the book and then backing up to explain what’s going on. It doesn’t work in every story, but it can definitely prove very effective. I’m currently working on a necessary flashback scene in my novel(written in 3rd person) and I was hoping you could answer a couple questions for me. Is it correct to ‘tell’ or ‘show’ a flashback? What about a mixture? I could simply tell the flashback and it will total to be about five pages long, but I’m having trouble making it emotionally engaging. I think it would be more engaging for the reader if it was shown, at least partly, but I don’t know if that’s correct and I’m afraid it might be too long. Any suggestions? Usually, deciding between telling and showing in a flashback comes down to length. If we’re talking a paragraph or two, telling or a mix of telling and showing will usually be your best best, since you don’t want it to slow down the main plot. However, if you feel an in-depth flashback is needed (as would seem to be the case in your book if the summary requires five pages), opt for showing. You can’t risk losing readers with that long a telling. It was quite a bit of work fixing that mess. Lengthy flashbacks are often more trouble than they’re worth. Often, it’s better to find a reason to work the information into the real time of the plot and dialogue. The story I’m writing right now has a couple of flashbacks. The body of the story is third person narrative, mostly main character POV. I thought to make her flashbacks, which are incredibly intense and emotional, be told in the first person, so the reader could really see how those experiences affected her. Would that be too awkward or confusing? It just seemed rather dry and not nearly as important told in the third person. My first-blush instinct is that this might be too jarring within the rest of the narrative. But you never know: it could be brilliant. I’d give it a try, run it by some beta readers, and see what they think. I think the choice of “person” is not as important as this question: Can I, the reader, “see” and “feel” myself in the story, as if the events were happening to me or in front of me? Is it vivid? In my current WIP, the narrative and characters hint at a traumatic event in the protagonist’s life. These little gems are scattered through the story. The final chapter begins with a flashback. which symbolizes the main character coping with that event, which sums up the personal character arc. It was difficult to do, but my betas say it was beautiful. The entire book “Frankenstein” is written in the form of a sort of flashback: it is a story told to an explorer in the Far North by Dr. Frankenstein, who was intercepted or rescued while in hot pursuit of his “fiend” (the book never says “monster”). I have a longish flashback in my WIP that may be (at least for now) my favorite scene in the whole book. I keep having this sinking feeling that right-thinking people will tell me to cut it. But I love it so much, I can’t stand to. It shows my hero meeting her mentor for the first time: how he saved her life and won her undying respect. It shows him rescuing her from some villains who will pop up again later in the main story. I feel like they’re more richly nasty because we know their history of brutalizing the hero. I was thinking of adding flashbacks in my fairytale, but now I might make a small prequel. Are flashbacks necessary? That depends on the story I suppose. Lately I have seen too many flashbacks in stories, with excessive lengths, that quite honestly don’t move the story forward. Now when I read the first chapters on kindle books if I see a flashback on on page I stop and move onto the next book. Why? If they are starting their book with a flash back they either don’t know where to start the book or feel the backstory is more important or exciting that the current story. For me, when I write my first draft (almost always riddled with flash backs) I pull out every flashback scene before I reread the “book” as a reader would. If I am not writing NM or NJ in the margin (NM= needs more information NJ= Need Justification) I don’t even bother with the flash back scene for that portion. If I do I look at the scene and see if it needs to be a flash back (aka took place before the story begins) or is an actual scene in my story but earlier than when I wrote it. Sometimes the flashbacks are or can be actual events in the story and an author should consider that option before writing a long flashback scene. This is the piece of info I really needed to read. I am chp 17 of 35 in my second draft and decided I needed a bit of information to be filled out that happened to a side character while my main character was not present. It has a massive impact on the story and now so I wrote it as dialogue at first. And it was so boring! Now I’ve been fussing with it for a few days. It’s becoming a relatively large bug in my side. Usually when a scene isn’t working for me it’s my brain telling me it doesn’t need to be there. -_- so Now I’m frustrated with all the effort I put into such an amazing scene, and it may be just info dumping. I can easily add the info I need in a powerful manner in the previous chapter, and gloss over the side stuff. It’s almost aggravating because I feel like the flashback would be a fun way to get all the bits and bobs going since the other character knows more about this world and could open more info into the story. Oh my. It’s obvious how flustered I am. I didn’t want to put them in but ended up having to, so I made it a partial scene then stopped at a good spot. The problem is finding a place to put in the rest of the flashback/back story in. Hunm … Well just going to have to really look hard at every scene and chapter. So much to learn, wish I didn’t need sleep. I started my story kinda like Pirates of the Caribbean: The Curse of the Black Pearl, but I’m not sure if it works or not.